Prime location, within ½ mile to the Belmont Master planned community, Minutes from the I-10 and 379th interchange. Situated on 377th avenue, the property has great access with power located along the west boundary. 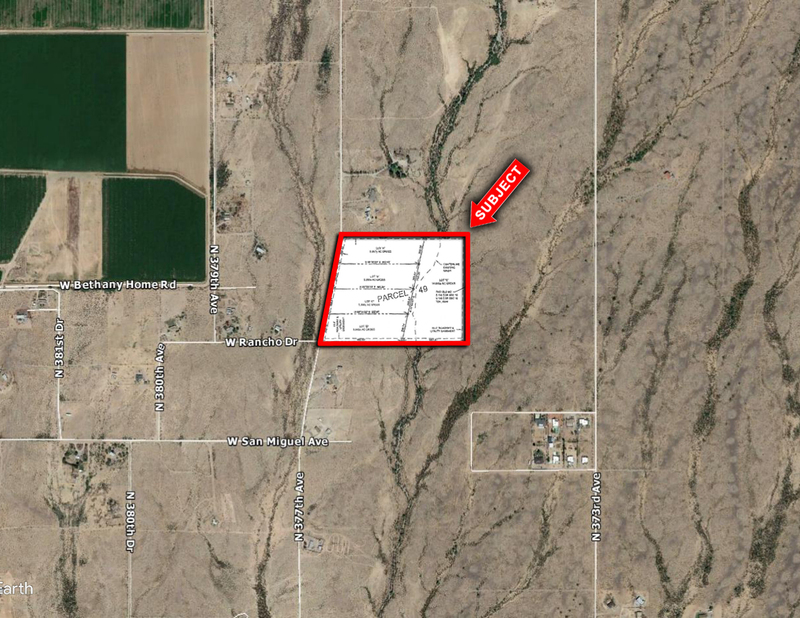 Property is available as all or part, divisible as small as 5.3 acres. LOCATION: NEC of 377th Ave and Rancho Dr, in Tonopah, AZ.